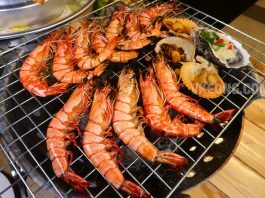 Seafood Boil was introduced to Malaysians a couple of years ago, but it’s too pricey to be enjoyed on a regular basis. Because of that, Seafood Lambak was created to match the budget of the average consumer. 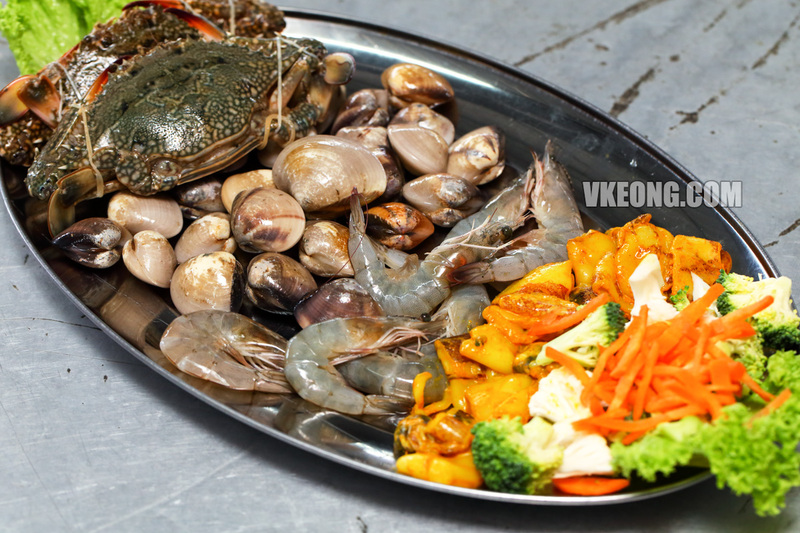 Usually found in Malay restaurants and food stalls, Seafood Lambak is also served on a plastic-draped table. And that’s pretty much the only similarity it shares with Seafood Boil. I am pretty sure the Americans will roll their eyes at this but Seafood Lambak has become so increasingly common that it’s more or less accepted as a normal thing nowadays. 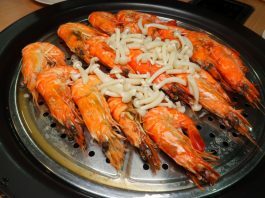 I have had my fair share of Seafood Lambak and I can tell you that some are quite terrible mainly due to the quality of seafood used. 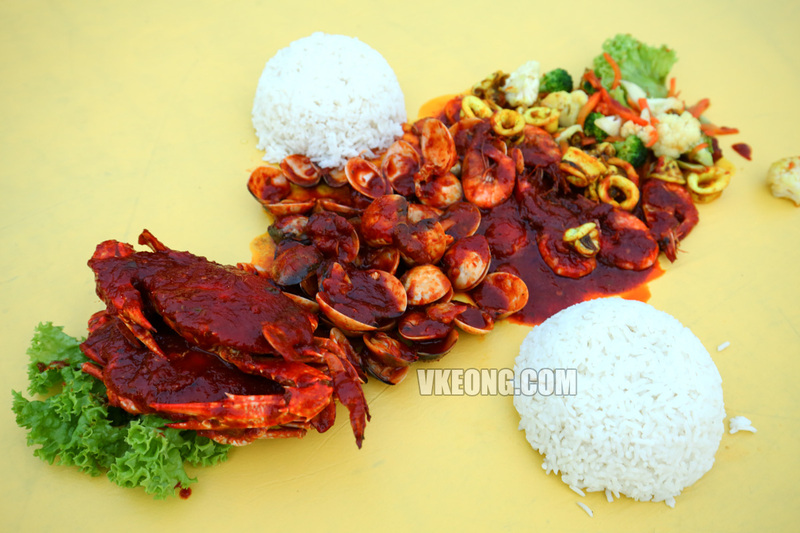 Recently we stumbled upon this ‘warung’ in Melaka that serves Seafood Lambak at RM30 for 2 pax. 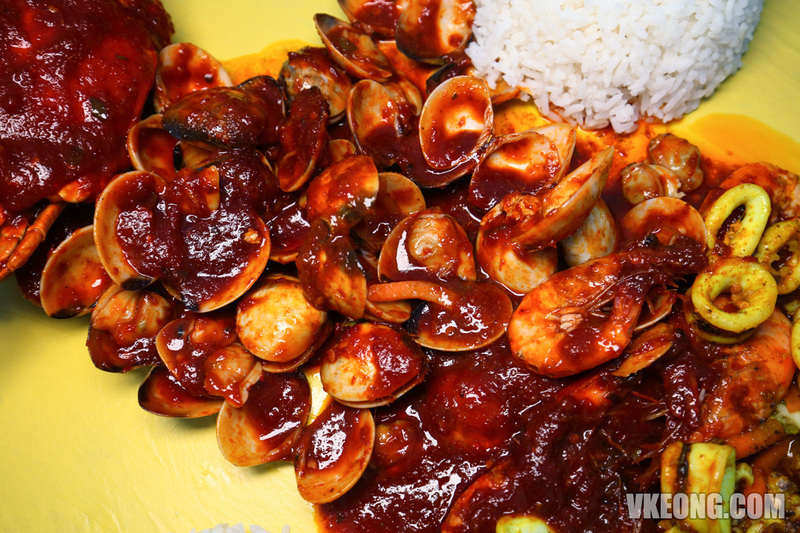 It’s called Seafood Lambak Selera Kita and it’s one of the few that I would actually recommend. 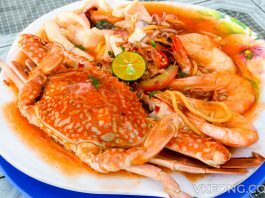 A standard serving comes with four types of seafood: flower crab, prawn, squid and clam which are bought from the pasar borong on a daily basis. On top of that, you also get a medium serving of stir-fried vegetables and 2 servings of white rice. With everything considered, the price is more than fair. 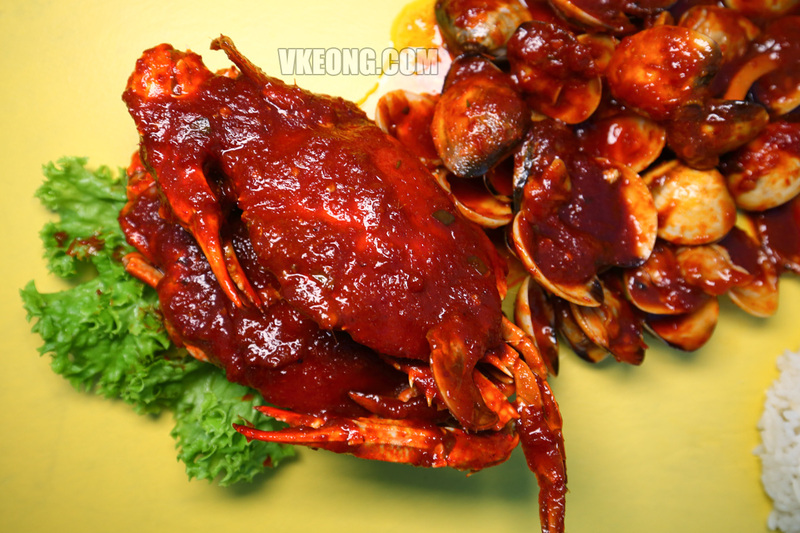 The crab, prawn and clam are cooked in their homemade Thai style sambal, while the squid is prepared kunyit style. When done, the savory and spicy sambal has a rich consistency without tasting oily. All in all, it’s very appetizing to eat and I tried really hard to refrain myself from tambah nasi. If you are in Melaka bored of eating all the usual tourist food, this place is definitely worth checking out!